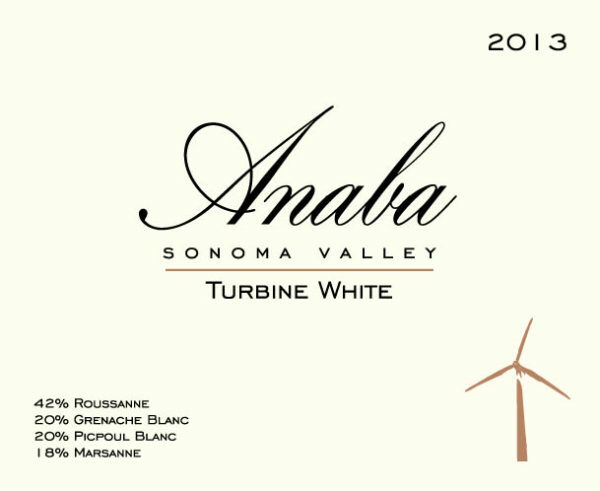 Named for the iconic image of the wind turbine on the label, Anaba’s Turbine White is a delicious blend of white Rhone-style varietals. Light citrus blossom aromas mingle with stone fruit, lychee and herbal notes. The overall bouquet is light, but the flavor profile is full. The palate is initially bright with flavors of tropical fruits and orange oil giving way to a richer mid-palate and slightly nutty characteristics.